Japanese Eyelash Extensions at GRACEOUS! Beautiful eyes? Only because of my gorgeous Japanese eyelash extensions done at GRACEOUS! You know, beauty is not effortless for many girls, and that includes myself. 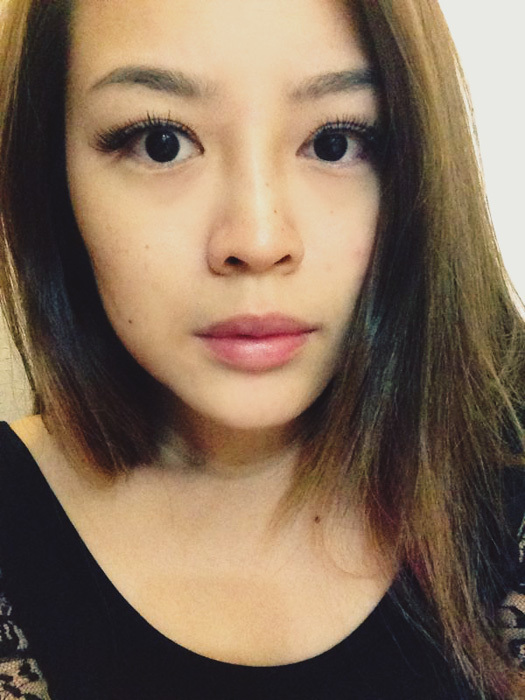 Which brings me on to the main topic in this post: Eyelash Extensions! And more specifically, Japanese Eyelash Extensions, at GRACEOUS! 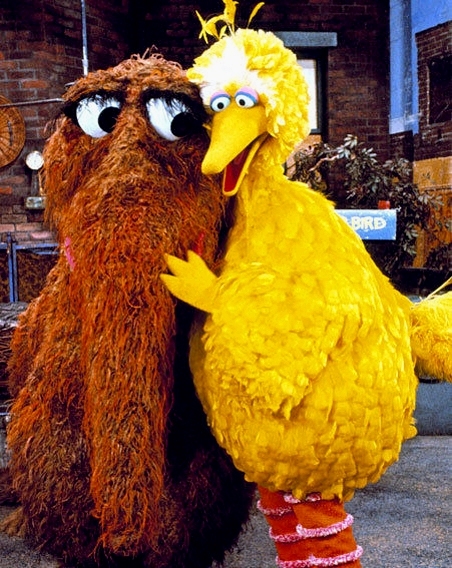 Mr Snuffleupagus from Sesame Street. Me with previous done eyelash extensions that were so super stiff, hard, and unnatural. HAHAHA. Okay, I dont blame my friends. The resemblance is uncanny. Apart from how unnatural they looked, the process of getting the eyelashes extensions done was also rather nasty. The smell of the glue that was used was extremely stinging and strong, which caused my nose to water up throughout the entire session! And when it came to removing makeup/washing my face, I felt very uncomfortable too, because of how stiff and hard the eyelashes were. Evonne has always been telling me, “Go and try Japanese eyelash extensions lah!! !“, but I didn’t know of any Japanese eyelash extensions salon in Singapore, until I was recently introduced to GRACEOUS, which is an authentic Japanese style Eyelash Extension and Gel Nails Salon in Singapore, opened by a very very sweet and nice Japanese couple! And after seeing the effect of Tricia’s eyelash extensions done at GRACEOUS, I was so excited to try it for my very own! Booked an appointment with GRACEOUS, and communicated via SMS with Tomoki-san, who runs the salon together with Nao-san, his wife. GRACEOUS is located along Mohammed Sultan Road, right above Chikuwa Tei Japanese Restaurant. It’s right up in the attic, so just go all the way up up up, until you come to this cosy little space that looks so inviting and simple! Before you start the session, you will need to fill in a couple of forms first, as well as decide on the kind of eyelash extensions you want. There are varying kinds, like the J-curl, L-curl, and C-curl! There are also different lengths, from 8mm to 14mm, as well as different styles of extensions (some are longer in the middle, others are longer at the ends etc…) depending on what kind of look you want to go for. I told Nao-san I wanted something natural but still fluttery and would help to open up my eyes, and she decided to do the C-curl, 9-11mm! Got settled down and Nao-san started working on the eyelash extensions! The very first thing that struck me was that.. THERE WAS NO OVERPOWERING SMELL OF GLUE! Trust me, it is a very very pungent and eye-watering smell, and having that smell in your nose during the entire 1.5-2 hours procedure would be really uncomfortable. But no, there was practically no smell at all, for which I’m very thankful! And guess what.. I actually fell asleep halfway through the session (and according to Evonne, started snoring lightly =.=) because Nao-san was so so so gentle, I couldn’t feel anything at all! Must have been so tired I fell asleep haha. Can’t believe I actually fell asleep, but I did! As you can see, the eyelash extensions are attached on painstakingly ONE BY ONE.. It definitely requires alot of patience and skill! Nao-san has got years of expertise in doing eyelash extensions in Japan, so be rest assured that your beautiful peepers will be in good hands! All materials are also specially imported in from Japan too! Right: my own lashes. Left: with the C-curl 9-11mm eyelash extensions on. Can you tell that they are so extremely natural and look just like my own eyelashes, except fuller and denser? And this is the end result.. Extremely extremely natural lashes that look just like my own, but prettier, longer, and fuller! I don’t have very good before and after comparison pictures, but you can see the stark difference!!! Before: My own eyelashes are quite stick-straight, and sparse. Two weeks after: Long va-va-voom lashes that still look extremely natural! And the best part of all is that…. I don’t look like Snuffleupagus anymore!!!! It’s been about 3 weeks since my lash extensions, and they are still looking good! Contrary to what some people think, it’s not that difficult to maintain the lash extensions! Just be gentle when removing makeup/ washing up, and avoid using oil-based products around your eyes! Also, you can’t use mascara or lash curlers too.. Not that you’d need them! I highly recommend GRACEOUS if you’re thinking of getting eyelash extensions done! Nowhere else that I’ve done eyelash extensions have come close to the kind of quality and experience I’ve had at GRACEOUS. Thank you so much, Tomoki-san and Nao-san! 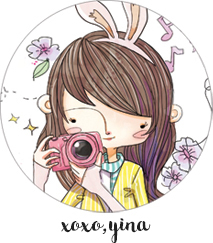 GRACEOUS is also offering a 20% off your first session with them, you just need to quote my name “Yina” in order to enjoy this 20% off! Book your appointment with them at +65 6235 6935 or SMS them at +65 8699 6045! If you have questions regarding GRACEOUS or Japanese eyelash extensions, just leave a comment and I will get back to you! 🙂 Hope this post was informative, and stay gorgeous, every one!